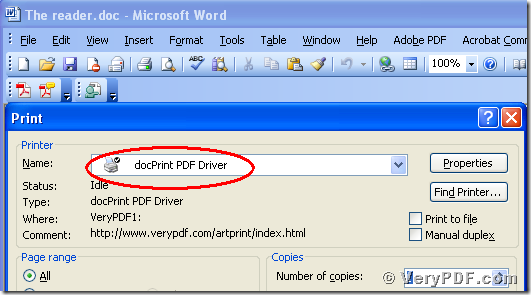 Have you ever use a virtual printer to print Word to pcx? Do you know how to do it? With the development of the technology, The experts of the office software has already developed a very useful software , the docPrint Document Converter Professional V5.0. This software product can convert many formats files. 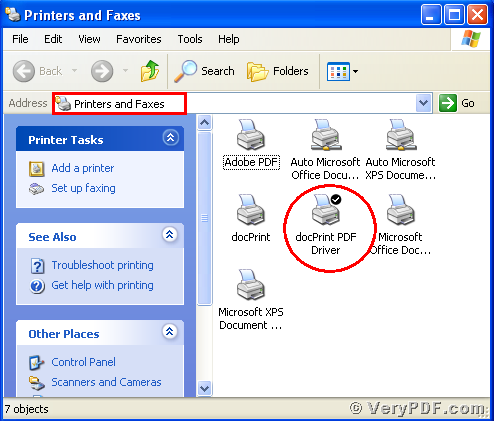 It has a virtual printer , the docPrintPDF Driver, which can print one format file to another format file. 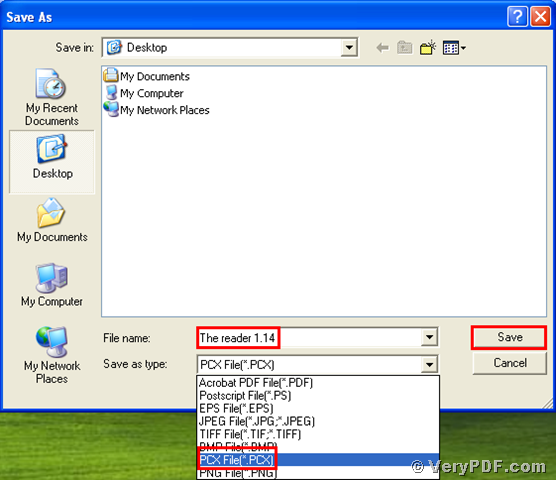 For example, it can print the Word to bmp, print Word to ps, print pdf to ps, print pdf to esp and so on. Since this software is so useful, why not to learn how to use it ? The operation is swift and simple. I believe that it can improve your office work efficiency and save your energy in your daily work if you can use this software. 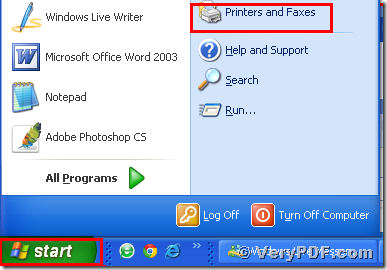 Right now I will tell you how to use this software to print Word to pcx. 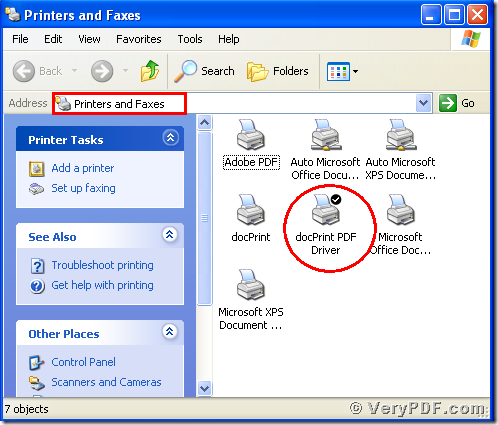 Because this software have two virtual printers, so you need to choose the right virtual printer :the docPrintPDF Driver, here I will tell you how to find this virtual printer and also I will give you the icon of the right virtual printer in order to let you select the right printer. <2> After you click the “Printer and Faxes”, it will pop up a dialogue “Printers and Faxes”. The virtual printer I framed by red line , which we will use in this process. After you click the button “ok”, it will pup up a dialogue “Save As”. 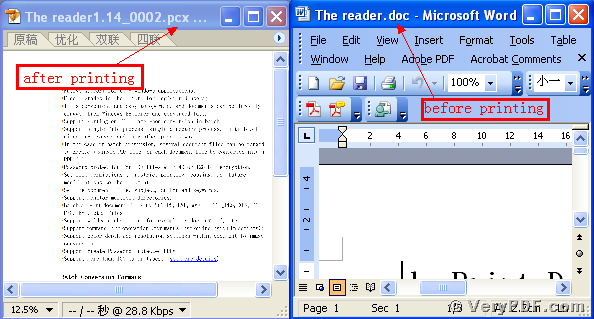 Please choose the type “PCX” and input the file name “The reader 1.14” in the blank. At last, save the change. Please look at picture 2. 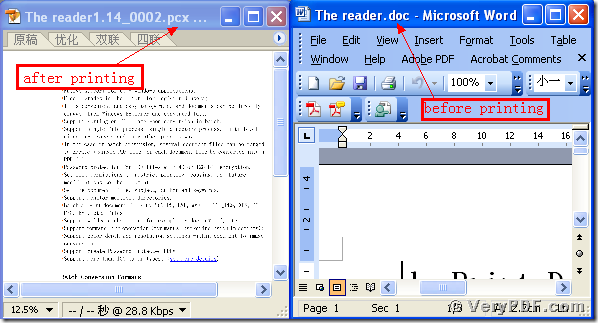 Separately open the before and after printing files, you will find that we had already printed Word to pcx. Please look at the screenshots that I give you in the bellowing. 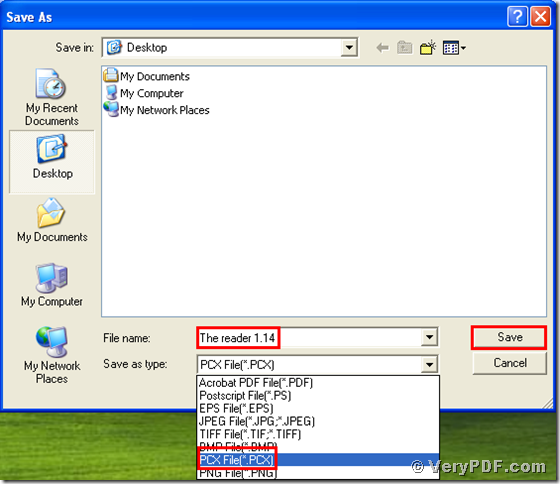 This software has many functions, here I just tell you one function of it, If you want to know more about the docPrint Document Converter Professional V5.0 , please go to this website : http://www.verypdf.com/artprint/document-converter/help.htm Or if you want to use it by free or want to purchase it you can enter into this link http://www.verypdf.com/artprint/docprint_pro_setup.exe and download it. This entry was posted in docPrint Pro and tagged docPrint, document converter, Word to PCX. Bookmark the permalink.